August | 2010 | Will You Miss Me When I'm Gone? If you missed High Tor on High Tor on Saturday, check out the photos in this report and get yourself to High Tor State Park by 3 p.m. Sunday to see this great play for yourself! Saturday was a perfect day for a picnic or a play — or both — in High Tor State Park in New City, N.Y.
Indian (Robert Fellows) sets the scene. That’s exactly what nearly 150 people got the chance to do when they got to the park for a free reading of the play High Tor by Maxwell Anderson. If you missed Saturday’s performance, shame on you. But you have one more chance on Sunday. High Tor is staged under the open sky on the slopes of the mountain whose name it took as its title. It’s a funny, charming play that really hits home about the environment and the question of what’s really important in life. Judith (Michele Danna) and Van Van Dorn (Nolan Muna) are in love, but she can't accept his decidedly unmodern attitude toward life. It’s comical and entertaining while dealing with these serious issues. And for anyone who knows the area, it feels authentic, with characters talking about local landscapes and history. 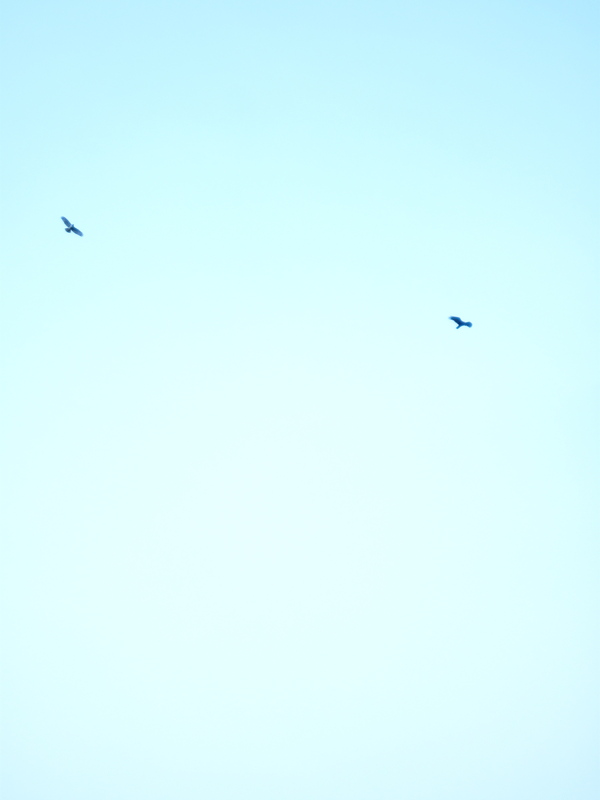 Hawks wheeled overhead as the play began. This is the play that helped start a serious movement to by galvanizing neighbors and environmentalists to preserve the peak. In 1943, after the death of Elmer Van Orden, who owned a huge hunk of High Tor, citizens groups raised the funds to purchase some of the land and turn it over to the Palisades Interstate Park Commission for preservation. Grassroots groups also persuaded millionaire railroad magnate Archer Huntington to donate his adjacent estate of 470 acres to the park commission to the park commission. Decades after High Tor became a state park , 78 acres were added to it as a result of litigation by West Branch to prevent development. These included the Van Orden farm, the actual site of the play. 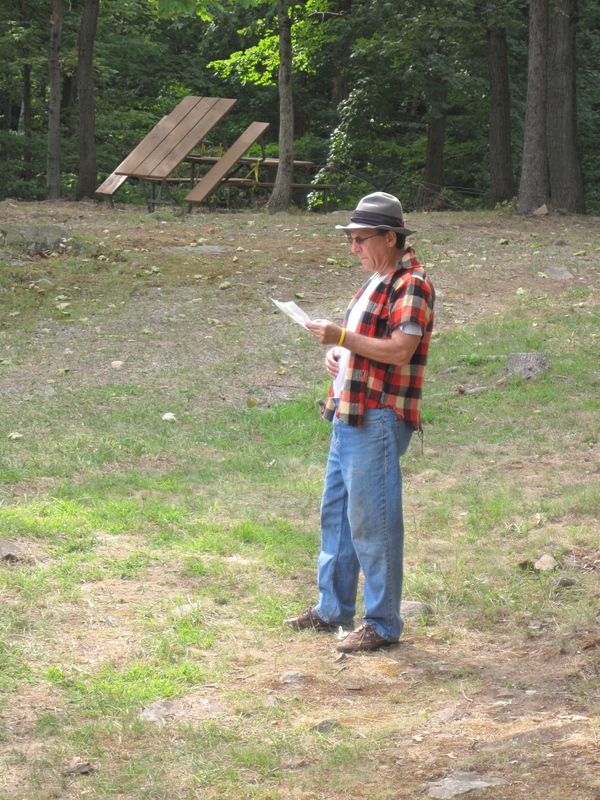 West Branch Conservation Association, Rockland’s Land Trust, is producing the play to increase public awareness of the threats to open space and to the many artists who have lived and those who still live on and near South Mountain Road, and their work. More photos and details about his production after the jump. 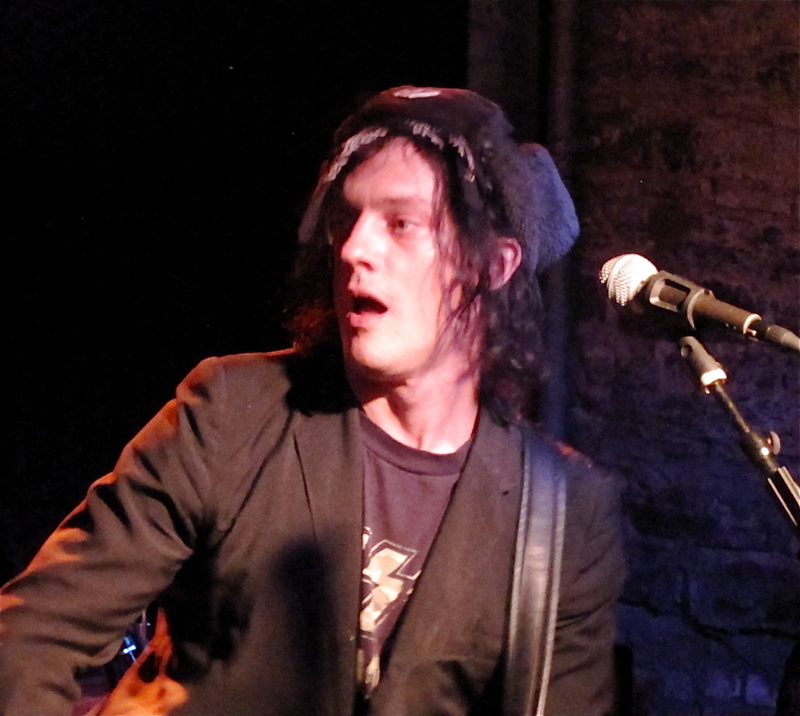 Dave Bielanko is the only original member left in roots-rock band Marah. The Philadelphia-area native has always had trouble keeping a stable lineup, though until the 2008 release of Angels of Destruction!, his older brother and co-songwriter Serge Bielanko (click here for his blog) was a constant. Dave Bielanko and Christine Smith. 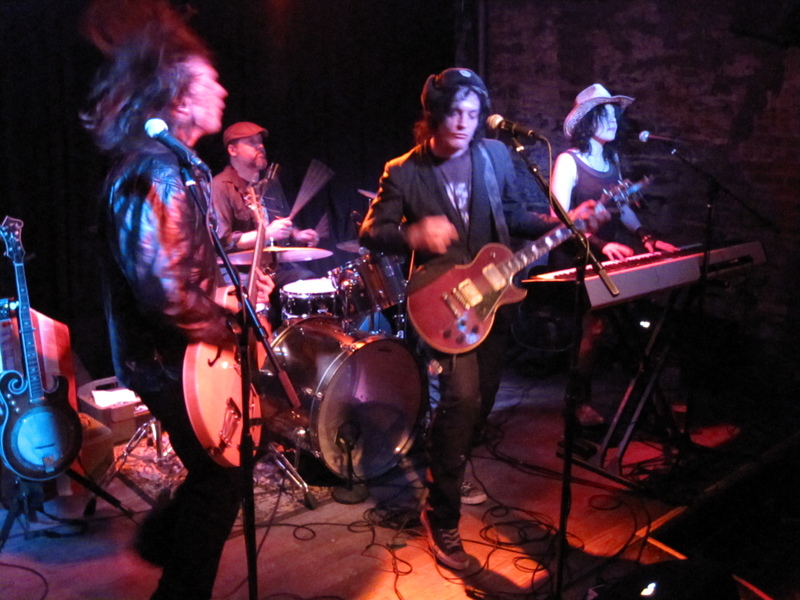 Nowadays the core of the band, based in Brooklyn, naturally, is Dave and South Ozone Park, Queens, native Christine Smith, who’s been with the band for a few years now. It’s pretty clear that Dave is the driving force, because Marah has kept its artistic core through almost every change in rhythm section (except for that brief Britpop detour on 2002’s Float Away With The Friday Night Gods, which was really just an unfortunate product of Dave choosing the wrong producer). 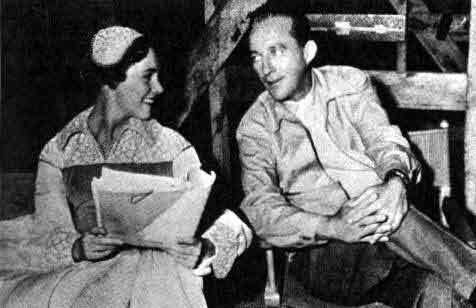 Julie Andrews and Bing Crosby in the 1956 TV version of High Tor. The new production of High Tor on High Tor uses music composed for this teleplay. 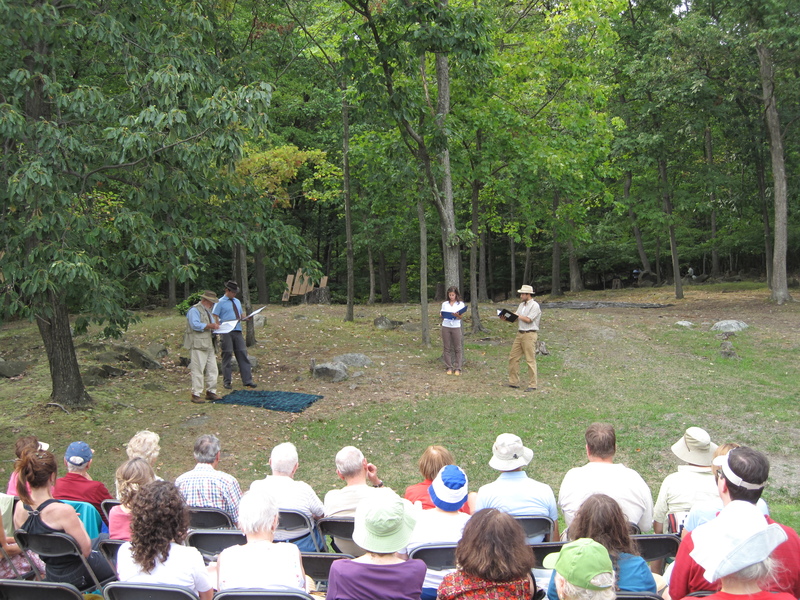 The free staged reading of Maxwell Anderson’s thought-provoking play High Tor starts today (Saturday, Aug. 21) at High Tor State Park — the patch of open space in north New City, N.Y., on the mountain from which the play takes its title. The 1936 comedy-fantasy, written by a resident of the High Tor neighborhood along South Mountain Road, helped fuel an interest in land preservation in the area that is going strong today. Click here for a video interview with Terri Thal of the West Branch Conservation Association, Rockland’s land trust, which is producing the play to call attention to open-space preservation issues that persist today and here for a LoHud blog item and photo gallery related to the show. The free show is being staged at 3 p.m. Saturday and Sunday. Parking is free. Seating is provided. 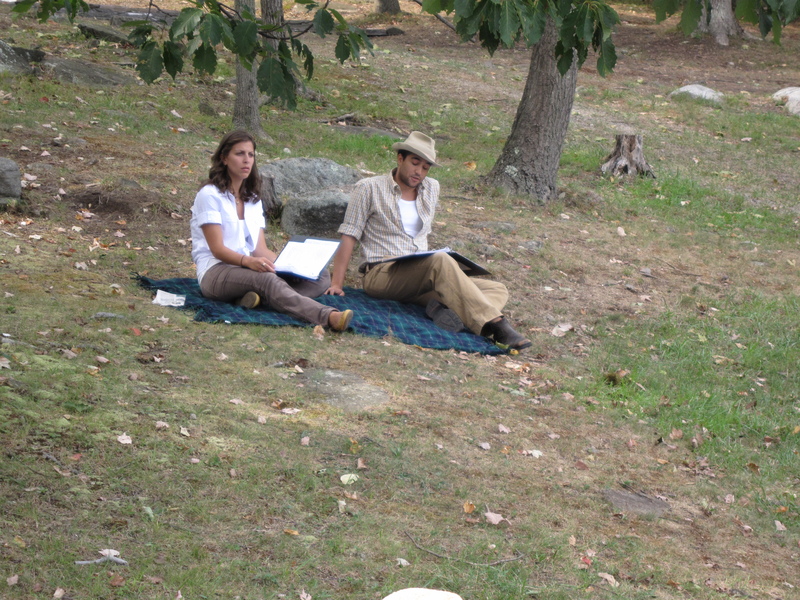 Come early and have a picnic in the beautiful mountainside park. Click here for directions and more details. Click here for a fun item about the vineyard that once occupied part of High Tor, and some details of the West Branch Conservation Association’s successful battle to save it from development. 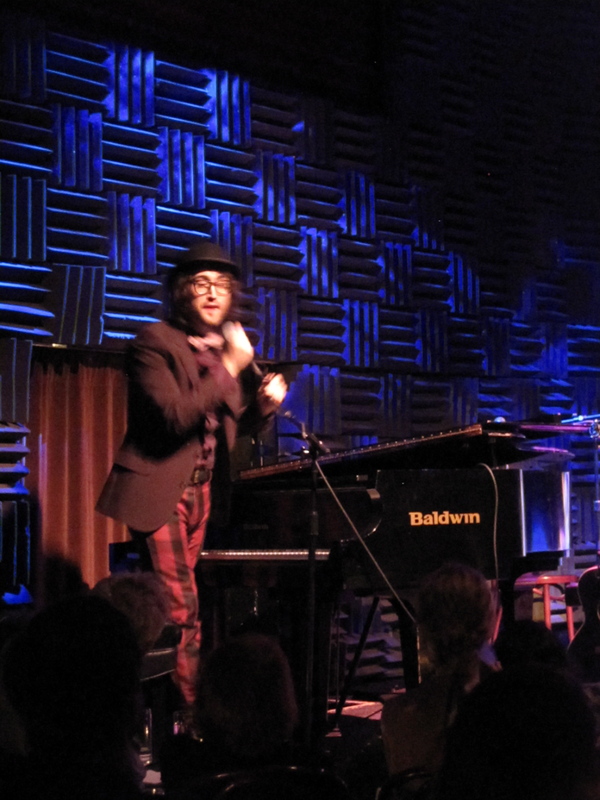 Sean Lennon mugs during his Joe's Pub set. 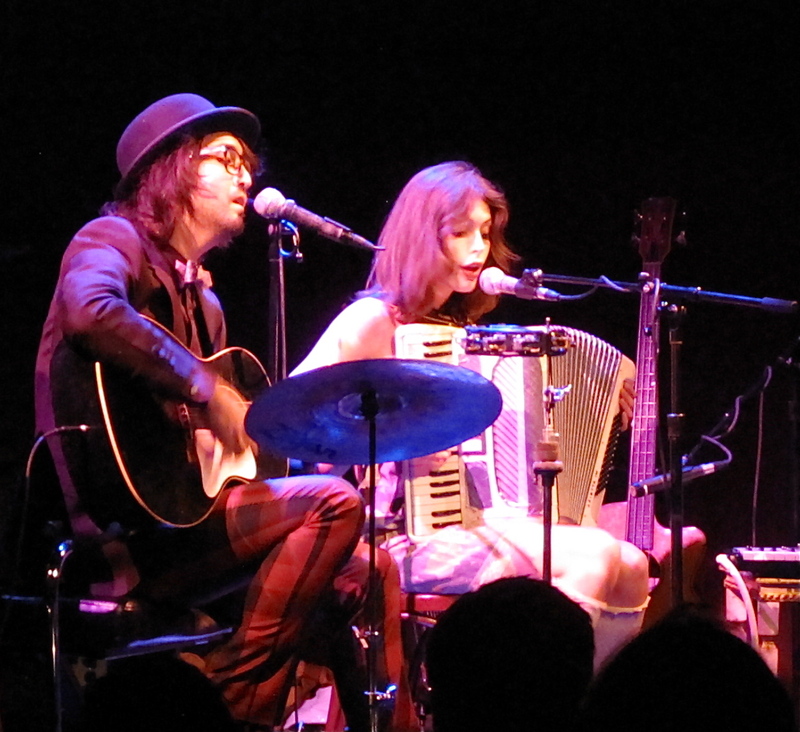 Lovely because their low-key chamber pop was full of beautiful melodies, deceptively good playing and smart lyrics. 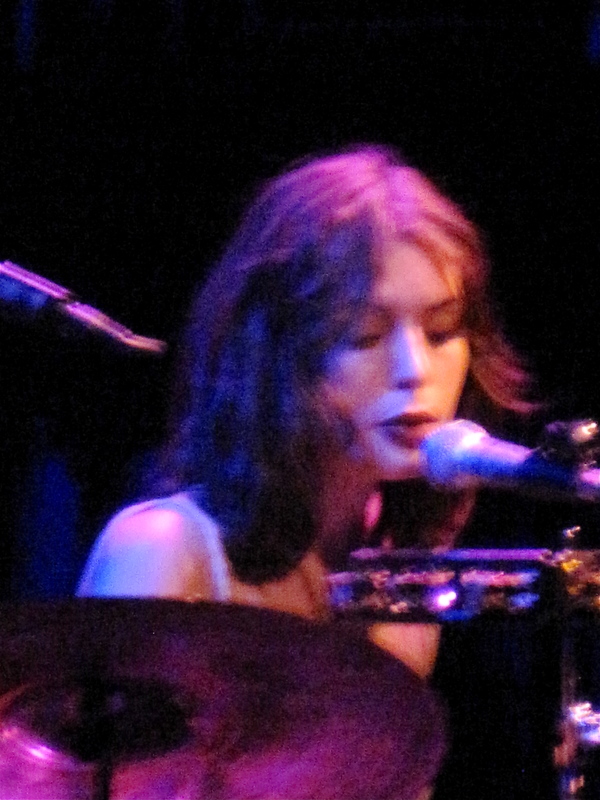 Charlotte Kemp Muhl of The Ghost of a Saber Tooth Tiger. Silly because of the duo’s deftly goofy banter and off-kilter titles. And weird, or maybe just surreal, for a lot of reasons. 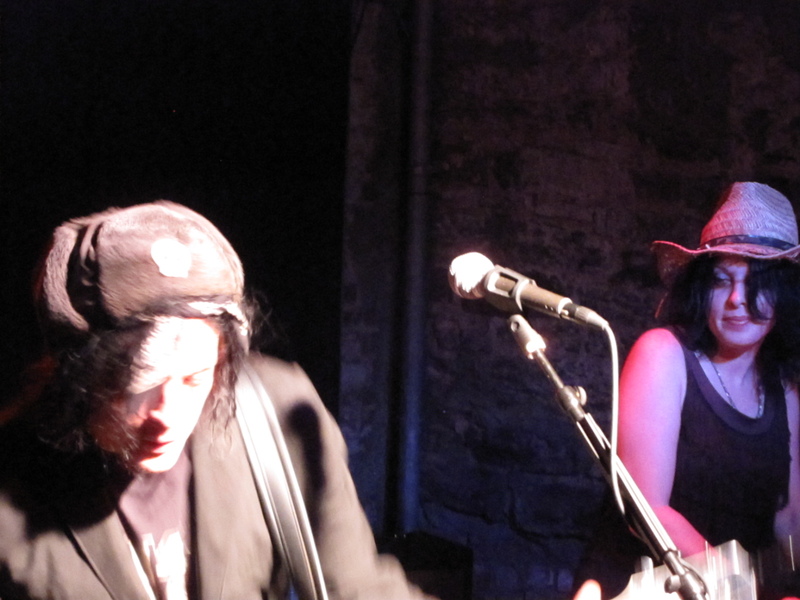 For instance, Sean’s ex-girlfriend (and current business partner), Yuka Honda, formerly of Cibo Matto, was front and center in the audience. At her side was Nels Cline, the awesome Wilco guitarist and The Nels Cline Singers frontman, who also happens to be Yuka’s fiance. Sean invited Nels onstage to sit in on one Saber Tooth Tiger song, and nearly sat in Will You Miss Me When I’m Gone?’s lap while briefing Nels. 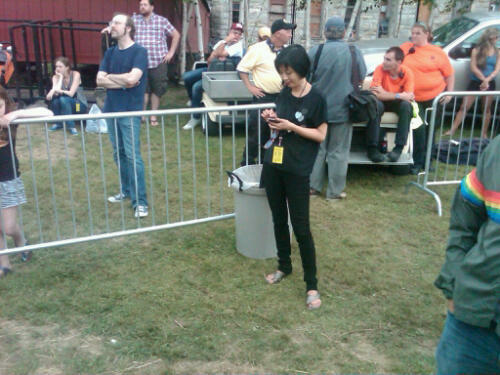 After wrapping up a guest stint with The Nels Cline Singers at the Solid Sound Festival on Sunday afternoon, electronica/keyboard whiz Yuka Honda headed to Joe’s Field at MASS Moca to check her smartphone and then listen to Jeff Tweedy‘s wonderfully mellow solo set. 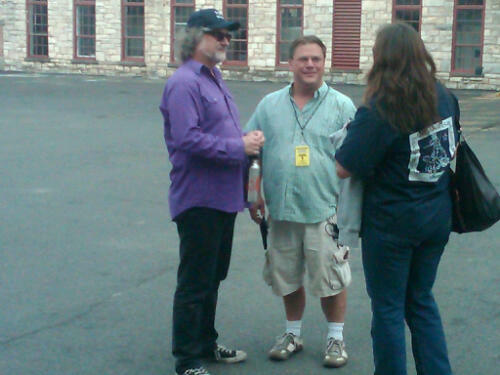 Scott McCaughey of The Baseball Project and innumerable other bands (Young Fresh Fellows, etc.) 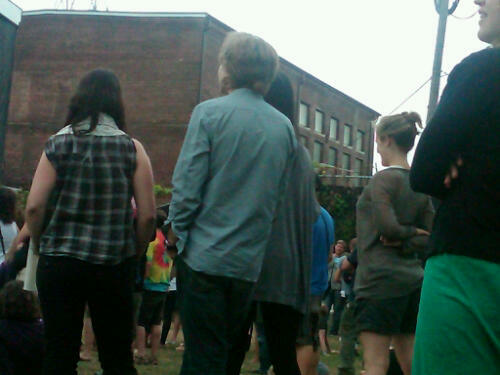 stops to chat with fans before the Jeff Tweedy solo set that closes out the Solid Sound Festival on Sunday at MASS MoCA.